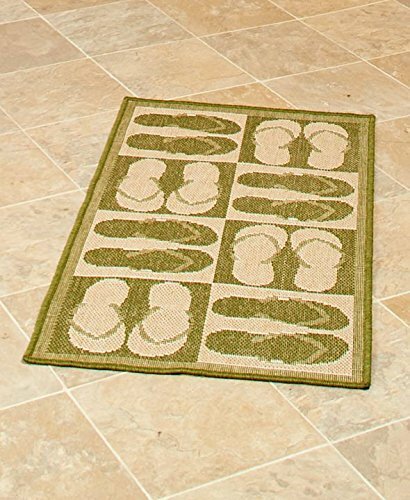 This Themed 22x43" Indoor/Outdoor Accent Rug brings a beach or coastal feel to any area in your home. Each rug features a fun pattern and inverted colors. Accent Rug, 22" x 43". Polypropylene and jute. Imported. Accent Rug, 22" x 43"
Structures Kohl Textured Printed Accent Rug, Beige/White 18 x 30"
Collections Etc Lattice Design Extra Long Hallway Runner Rug with Skid-Resistant Backing, Mocha, 20" X 90"